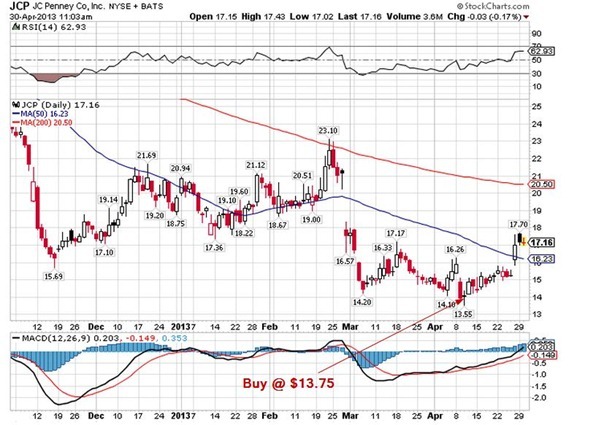 March 5, 2013 we suggested that this stock should be bought at about 13.75 (with a stop at 12). Had you followed up on that you would now be the proud owner and up almost 25% in less than a month. We would sell at around $18 (or even here if you are nervous), even though there is a good chance that the stock continues up to , at least, close the gap or even higher.